Hustlers and hysterics come in all shapes and sizes. Democrats, Republicans and independents, believers, non-believers and agnostics, and whoever else needs representation to make sure the gang is all there. What counts, and what can’t be faked, is what we’re investing in our strongest natural resource, our young population. That will carry us through world competition, market loss or dominance. Since all of this is easily proven and quite obvious, we might think that we would have bipartisan agreement on the importance of education. Not quite. 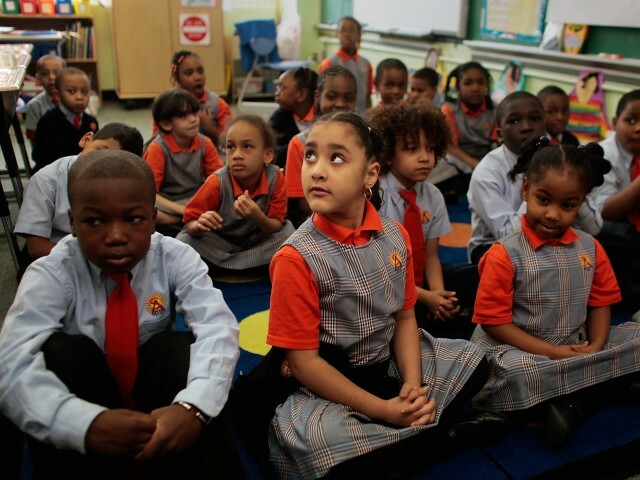 Here in New York, both the Success Academies run by Eva Moskowitz and the Harlem Educational Activities Fund, or HEAF, a non-profit supplemental education and youth-development organization, have shown what teaching can do… Here are those of the Success Academy, where 77% of the students are poor: Eighty-two percent of scholars there passed math, putting it in the top 1 percent of all schools in the state. In English Language Arts, 58 percent passed, in the top 7 percent. In science, 100 percent passed. And for HEAF: One hundred percent of their 2013 class graduated high school. One hundred percent of their 2012 graduating class returned to college for their sophomore year. Thirty-five percent of their students went on to graduate studies in law, medicine and other disciplines. That is three times the national average. Inspiring students is central to getting them to consistently engage. Inventive inspiration comes from the relationship of the teacher to the student. Those committed to inspiring can move through all barriers. There it is — the hard truth. These aren’t numbers from the Upper East Side or some suburban community. These are from Harlem and the Bronx and available to be disputed, if one can. Stanley Crouch, in the Daily News, pointing out another reason why expanding school choice matters. All families should have a wide range of high-quality schools available for their children. And all of us should embrace those schools, regardless of whether they are traditional public, public charter, private, online, or even run by families out of their own homes. Bill Keller has a column in The Times this morning about Common Core. It’s the kind of column that shows up in your inbox a dozen times before your second cup of coffee because everyone is sending it around so happy that it righteously makes their case. It should be circulated for a different reason: It’s illustrative of the political jam the Common Core is in and highlights the problem rather than the way out. The column that Common Core supporters should want to see is the one highlighting examples of how local civic and business leaders have decided that educational mediocrity is a problem and that while neither perfect nor a stand-alone reform, the Core represents an important step toward better schools. It might even have examples of local chambers of commerce or civic leagues stepping up to hold local and state officials accountable for not only supporting the standards but supporting implementation efforts as well (training, curriculum , evaluation and so forth). * That column would be worth emailing all over the place as evidence of progress. Andy Rotherham, in Eduwonk, reminding fellow Common Core supporters that they need to do better in advancing the standards against opposition from the movement conservatives and hard-core progressives in traditionalist camps opposed to implementation. This is a point Dropout Nation has made (even as it supports the standards). Perhaps Common Core supporters should go to Hawaii, where the Kamehameha Schools, a private school that focuses on Native Hawaiian children, is working with public schools in the Aloha State to implement the standards as well as take advantage of how the standards allow for Native languages and cultures to be incorporated into them. Chicago’s current pension crisis may have been a long time coming. It’s a “dark cloud that’s coming ever closer,” as Chicago Mayor Rahm Emanuel recently described it. The city’s substantial credit-rating downgrade, on the heels of Detroit’s bankruptcy filing, suggest that the pension storm is making landfall. One often overlooked reason for the large size of state pension obligations is the fact that school administrators — aka management — have a lot to gain from generous teacher pension plans. When my colleagues Shawn Ni and Cory Koedel and I took a close look at teacher pensions in Missouri — which are determined by rules similar to those in pension plans across the country — we found that school administrators (superintendents and principals, who participate in teacher pension plans) reap much larger benefits from the plans than teachers do. Because they earn more than teachers, school principals can expect to contribute 14 percent more to the pension plan than a senior teacher would contribute over the course of a career. A school superintendent can expect to contribute 53 percent more. However, when it comes to benefits, the principal can expect to receive 37 percent more than the senior teacher, and the superintendent 89 percent more. What explains this gap? Why are the administrator benefits so much larger than contributions? It turns out that this is the natural result of the most common type of teacher pension plan, known as final average salary defined-benefit plans. In a final average salary plan, your retirement check is based not on your career average salary, but rather, on the average of several years of your highest salary (typically earned in your final years). Since school administrators work for many years as a teacher and then receive a substantial boost in pay at the back end of a career as they move into administration, they fare much better than a senior teacher. Michael Podgursky, in the Washington Times, explaining a key problem with the defined-benefit pensions that are now putting more virtually-insolvent districts on the brink of real financial collapse, a subject of this week’s Dropout Nation Podcast.